Fine furniture upholstery fabrics and colorful fabric prints from Australian designers look bright and colorful, making a strong statement and creating cheerful atmosphere in the living room. 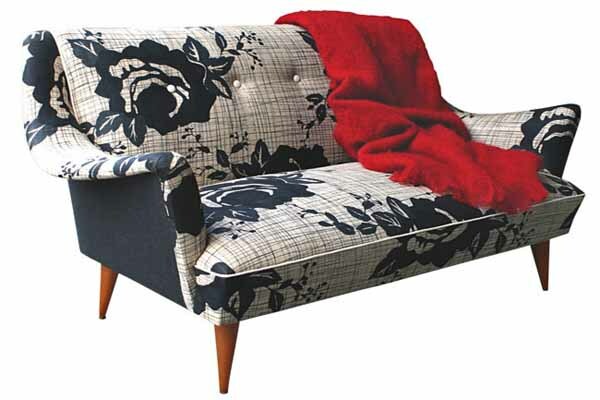 Australian-made armchairs and sofas and vintage furniture from IKEA with floral upholstery fabric prints feel comfortable and pleasant. 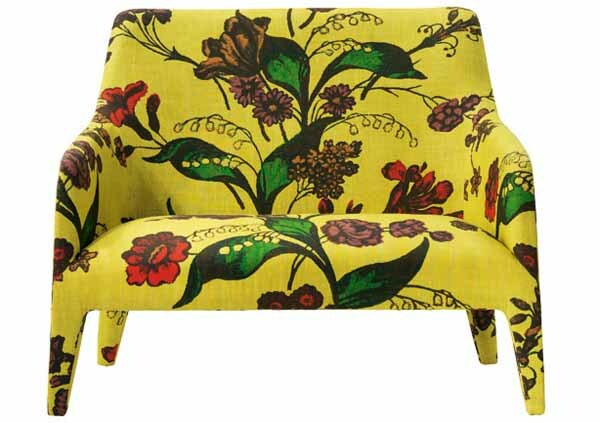 Simple linen upholstery fabrics are offset with exuberant floral upholstery fabric prints by Christopher Farr, Tord Boontje, Edvard van Vilet and Marcel Wanders. Warm and inviting colorful decorative fabrics bring sunshine into modern home interiors and add radiance to vintage furniture and room accessories. A play of pastels for slip covers that are pulled over the framework and secured with buttons, make a sofa and ottoman collection by Edward van Vliet look elegant and welcoming. Two-seater sofa in Dottevik Red from IKEA is a bright and creative furniture design that bring energy and fun into modern interior decorating. The sofa with Eyes of Strangers cover is an eye-catching feature design, created by Marcel Wanders. The vintage sofa in Rough Rose has a heavyweight linen upholstery fabric that gets a face lift with a modern floral fabric print. The ottoman in Toile Nero is a super comfortable furniture design that has a handle for easy portability. Simple repetition of a pattern comes to life in the crisp blue and white Block Printed Floral Retro chair in indigo-white color combination.